What image does the word orphanage conjure up in your mind? A sunny scene of carefree children at play in the grounds of a large ivy-clad house? Or a forbidding grey edifice whose cowering inmates were ruled over with a rod of iron by a stern, starched matron? 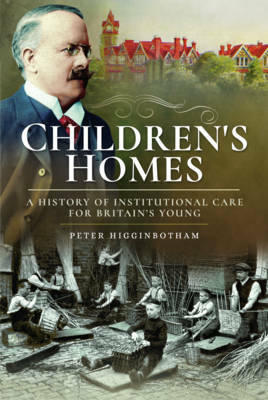 In Children's Homes, Peter Higginbotham explores the history of the institutions in Britain that were used as a substitute for children s natural homes. From the Tudor times to the present day, this fascinating book answers questions such as: Who founded and ran all these institutions? Who paid for them? Where have they all gone? And what was life like for their inmates? Illustrated throughout, Children's Homes provides an essential, previously overlooked, account of the history of these British institutions.